From a young age, UQ dentistry student An Tran was taught about the importance of giving back – a lesson her parents gleaned from the violence and sorrow they experienced during the Vietnam War. Now, thanks to an Aspire Scholarship, Tran is able to pursue her career goals, while supporting her community. The Vietnam War has been recounted by many as one of the bloodiest, protracted, and futile conflicts in recent history. Yet, from this conflict emerged remarkable people who brought with them better insight, compassion, and hope that they sought to spread through their new communities. This was the case for Tran’s parents, two refugees who made separate voyages to Australia to find new homes after theirs were destroyed during the war. After meeting in Australia, they built a modest and respectable life together in Victoria. “My parents were some of the lucky few who made it to Australia to start a new life with their families,” Tran said. For Tran, this meant volunteering with organisations such as the Starlight Children’s Foundation, the Red Cross and Australian Health and Humanitarian Aid during high school. “The volunteering experiences I was encouraged to pursue have helped me become a better healthcare student and, I believe, a better person. They showed me how lucky I am and inspired compassion and understanding for people of all backgrounds,” she said. After graduating high school with outstanding marks, Tran chose to pursue a career in dentistry so that she could help others. 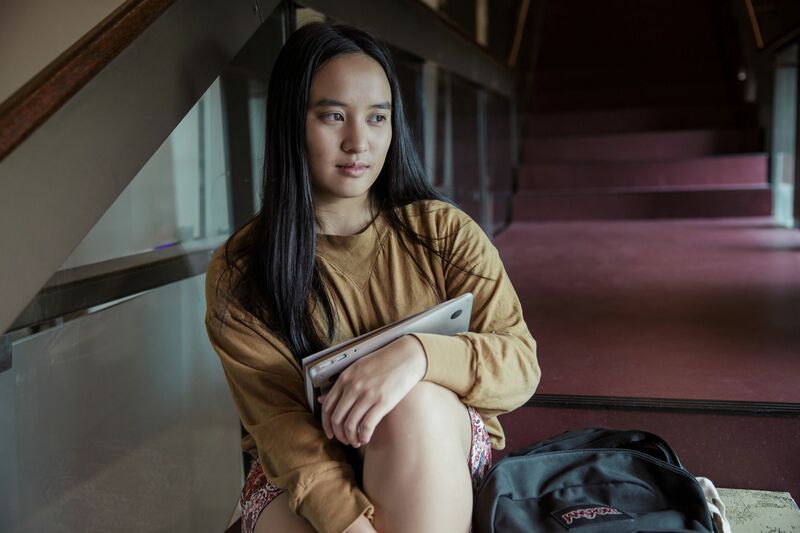 But the thought of moving across the country to study at UQ, away from all of her support networks in Melbourne, seemed not only emotionally daunting, but financially unattainable. “I was scared to leave my family, but we also weren’t sure how we could make it work,” Tran said. “Moving and living so far away from home would be extremely expensive, not to mention the cost of dentistry equipment and textbooks each semester. “But my father has always emphasised that education is the most important thing; it lifts us up and allows us to develop skills that help us contribute to the community." Through the donor-funded Aspire Scholarship, Tran received enough support to buy her dental equipment and was able to budget for purchasing textbooks each semester, while also easing the need to work so many hours while studying. “I couldn’t have done it without the scholarship,” she said. “It helps me juggle the demands of dental school and the cost of living. It also allows me to honour my commitment to getting a university education. Tran said this scholarship had also helped her embrace campus life and take on further opportunities at UQ. You can help more students aspire to great things. Visit Not If, When – the Campaign to Create Change to support the Aspire Scholarships program.